eUSAconnect makes it possible for everyone within a community to collaborate with each other as a supporter, contributor or business. Share your stories, news and current events, while supporting local businesses and participating in or volunteering for community activities. Community Supporters are organizations that share the common goal of promoting and enhancing the wellbeing of the community by providing services to the area’s residents and businesses. Everyone within a community can contribute by sharing their stories, comments and images, attending or volunteering for events, donating to or joining groups and organizations and buying locally. Start today! All businesses are represented and promote their services to encourage ‘Buy Local’, which contributes to growth in the local economy. Businesses can share photo galleries, videos, brochures, events and more. Find out what’s happening in your community. Anyone can share event information, which is distributed throughout the network, to enable those who are interested to find the details. Events are featured on related portals and is available to local residents and visitors to the area. Sygnifi Networks has created a system that connects communities with today’s technology. An all-inclusive current events network. News/stories by amateur and professional writers. Education and training for local businesses. Find businesses and support the ‘Buy Local’ campaign. Buy or lease property programs. Sygnifi Networks is investing in your community with its eUSAconnect program. 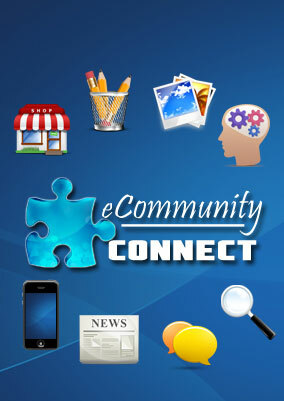 All the tools you need for collaboration among local organizations, businesses and residents in the community are included in the County Connect Website and Mobile Apps. Become a County Connect Contributor and help bring these tools to your community today. Community Supporter is an organization that supports the wellbeing of the community and provides guidance to its members. Contributor is anyone who wants to share stories or images or who wants to promote community activities. Business is a local provider of goods or services that fulfill a need or enrich the community. Sygnifi Networks offers a cost effective solution to Community Supporters within a county to upgrade with a Community Website or products to become Connected to the network. All community supporters can contribute to the eUSAconnect County and State networks, but the connected organizations takes advantage of the system integration of their stories, news, community calendar, and event details. Sygnifi Networks App Division provides business and member organizations Apps that are specifically designed for their needs. Mobile Apps for iPhone, Android, IPad and HTML5 on a content management system to instantly update your app online. Learn more. 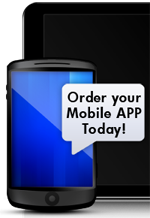 Mackinaw City Chamber, a Northwest Michigan Supporter, have launched their Phone Apps! The Writers’ Guild is an association of writers who contribute to our site and who are available to write articles on commission for our clients. Anyone who has had his/her work published on a local community or county site is eligible to apply for membership in the Writers’ Guild. Learn about how it works. Copyright © eUSAconnect.org. All Rights Reserved. Powered by Sygnifi Networks.